Welcome to my Pond Animals Lesson Planning Page. On this page you can find: links to preschool activities, book recommendations, suggested items to add to your learning spaces, and related Pre-K Printable fun products. ​This week focuses on Lily Pads, Frogs, Ducks, Turtles and the many other animals that make a pond their home. ​The resources on this free plan can be found below. Activities marked with an asterisk can be found inside the Pre-K Printable Fun Pond Animals Activity Pack. 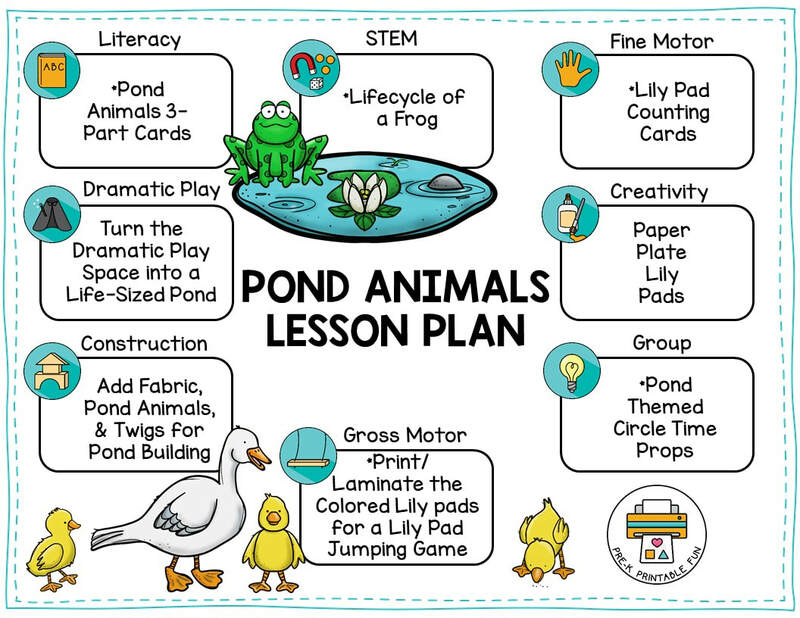 Print your free copy of this Pond Animals Sample lesson plan! Activities marked with an asterisk can be found inside my Pond Activity Pack Here! Turn your Dramatic Play Area into a Life sized Pond. Add Blue Fabric Water, Brown Fabric Dirt, and Green Fabric Grass. Add a variety of items: Fishing Poles, Picnic Basket, Binoculars, etc. 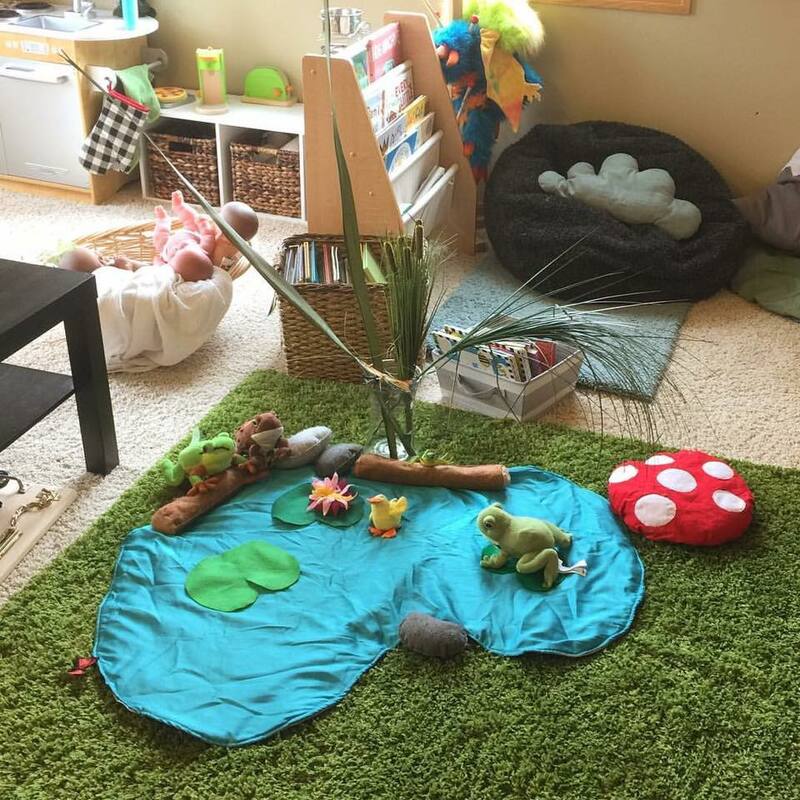 This adorable pond dramatic play space was created by community member Cheryl V.
Add materials so that children can construct their own Ponds. Add these items to your Art Space this week: Green Play Dough, Green Construction paper, Feathers and Wiggle Eyes. Add: Frogs & Turtles, Ducks, Foam Lily Pads, Stones, and Twigs to your Sensory Bin this week.